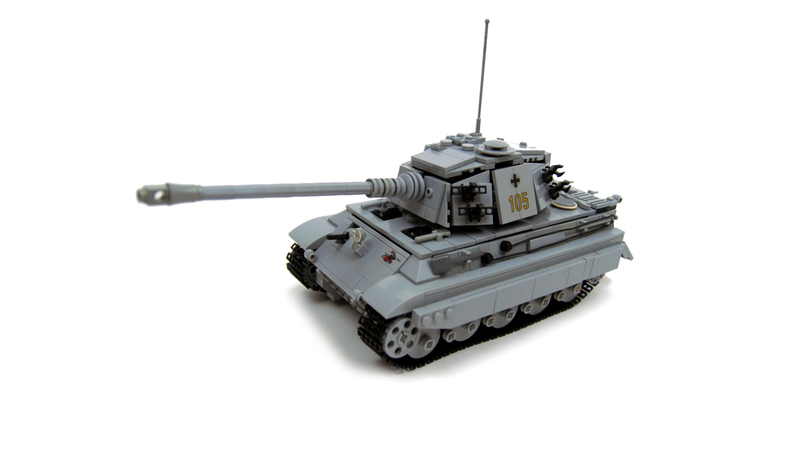 Small-scale model of the King Tiger tank. 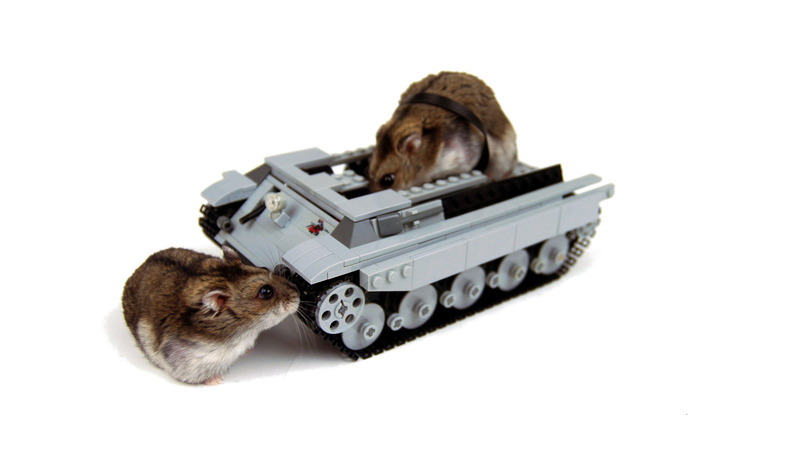 Features 4 remote-controlled functions and custom stickers. 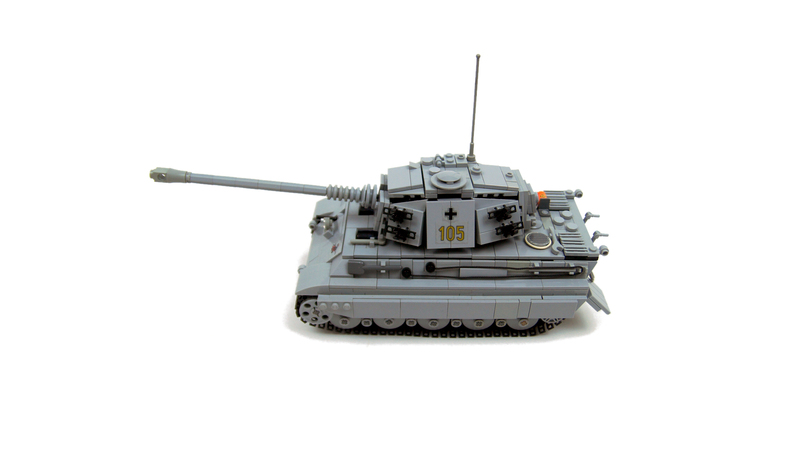 After I’ve built my Tiger XL model, I got plenty of requests to build Tiger II. 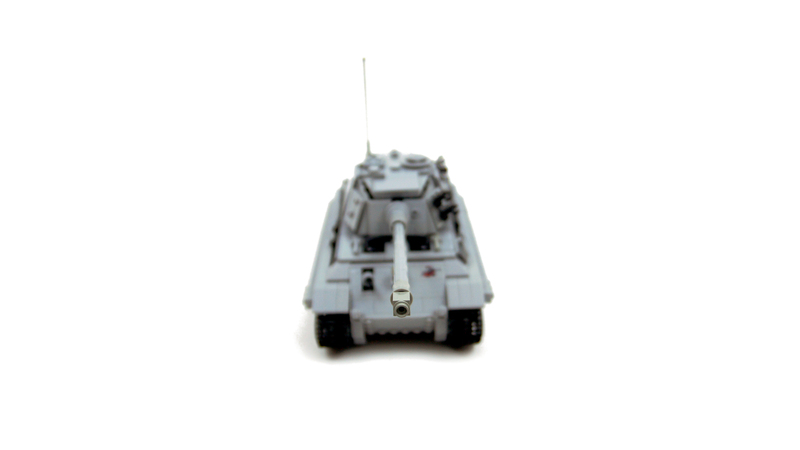 I was reluctant at first, because it seemed that at the same scale, large part of the chassis would be almost identical to that of my Tiger XL, but then I did some math and it occurred to me that I could try building a fully motorized Tiger II at small scale, with tracks of older type. 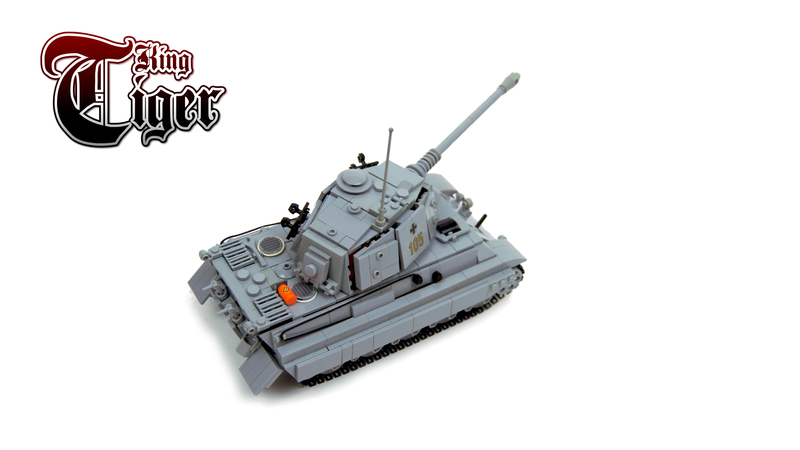 The original King Tiger isn’t as iconic as Tiger I tank, even though it was much more deadly. 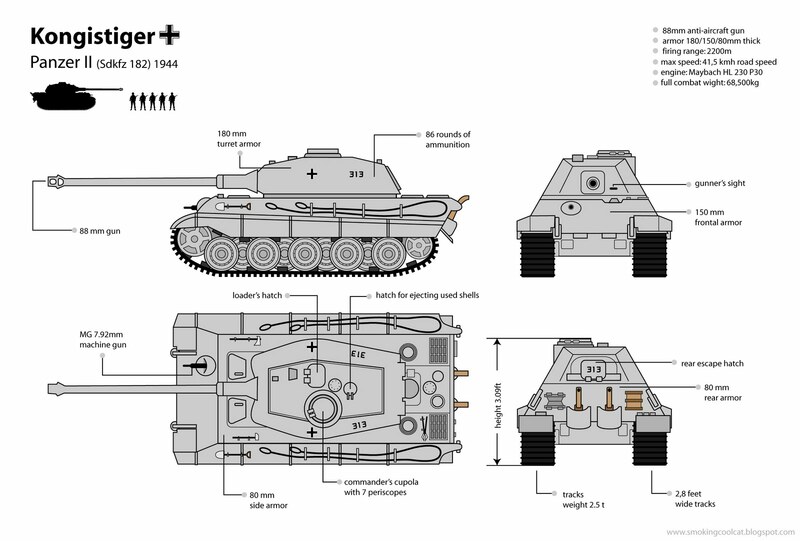 It’s fair to say that Tiger I’s fearsome reputation was partially product of Nazi propaganda, while Tiger II deserved every bit of horror it evoked. 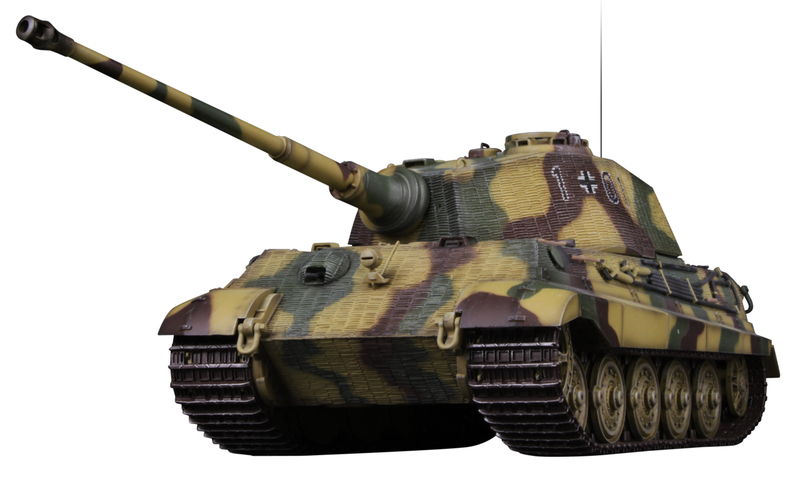 It was pretty much the most terrifying thing you could see on WW2’s battlefield, it was terrorizing Allies throughout the Ardennes campaign and up to the very last day of war, and some sources claim that Soviet crews would sometimes abandon their tanks at the very sight of King Tiger. 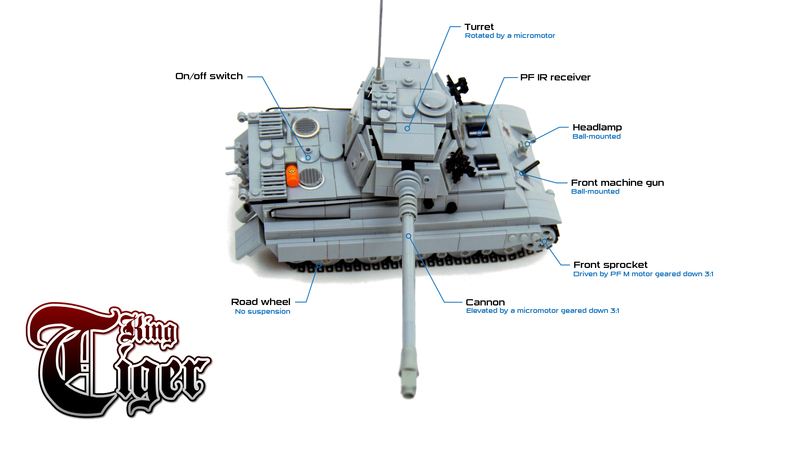 Many consider Tiger I to be the first true heavy tank but also a somewhat premature one. 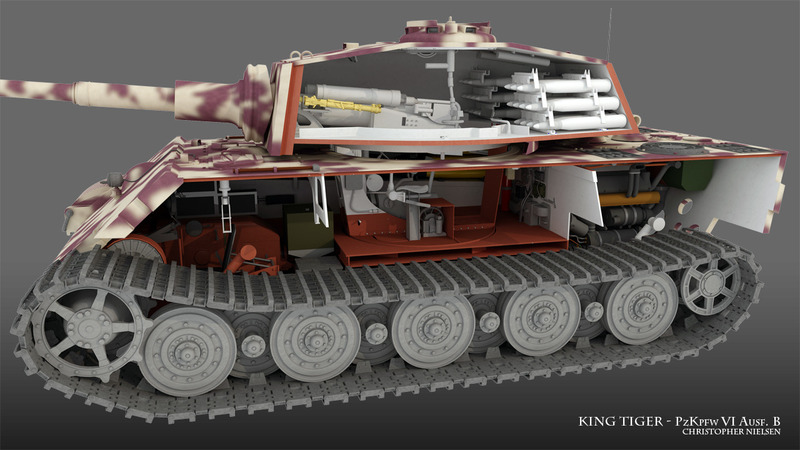 In this regard, King Tiger represented a mature concept of the heavy tank: it was improved and perfected, but also suffered from typical disadvantages of the heavy tank: monstrous fuel consumption and poor mobility, as many bridges and roads were simply unfit for a vehicle weighing nearly 70 tonnes. 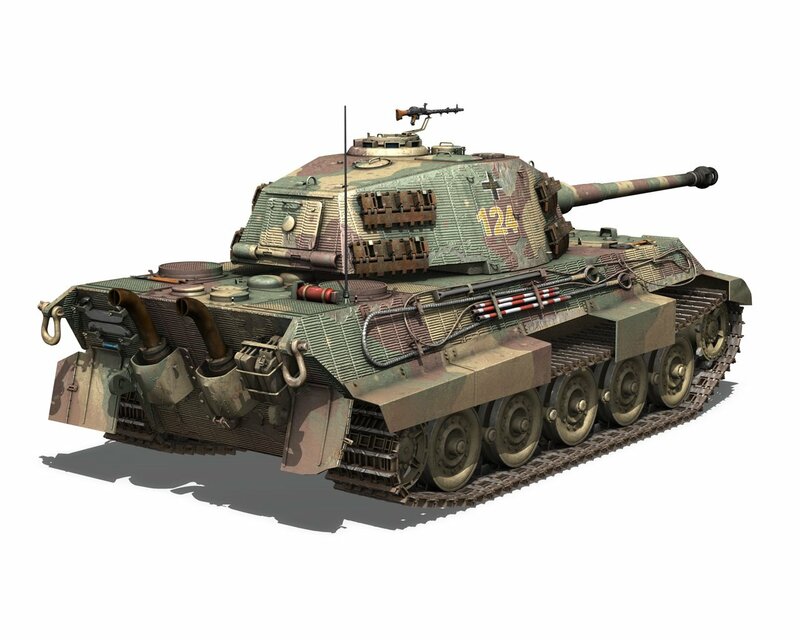 At the same time, it was tank that sported what is commonly considered the best tank cannon in entire World War 2, and a front armor that according to some records has never been penetrated in combat. 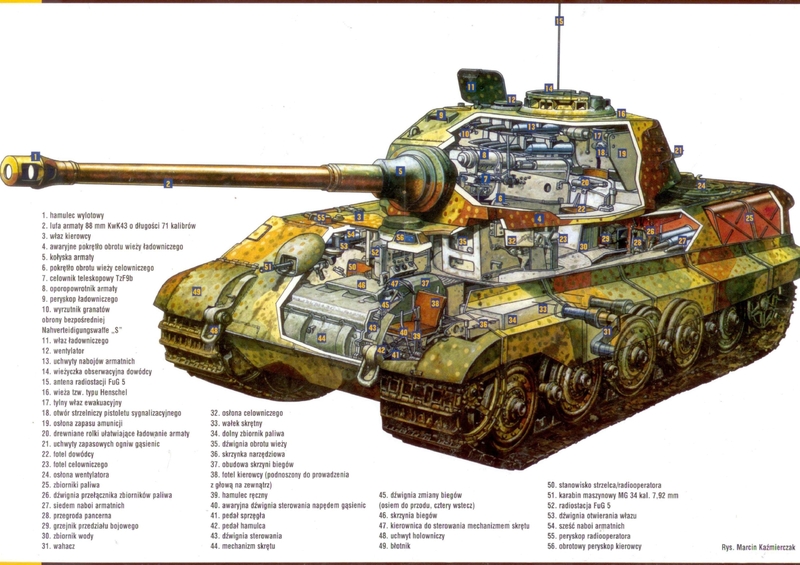 It was a tank that could easily kill Allied tanks from 2 km away or more, and it only grew deadlier at closer range. 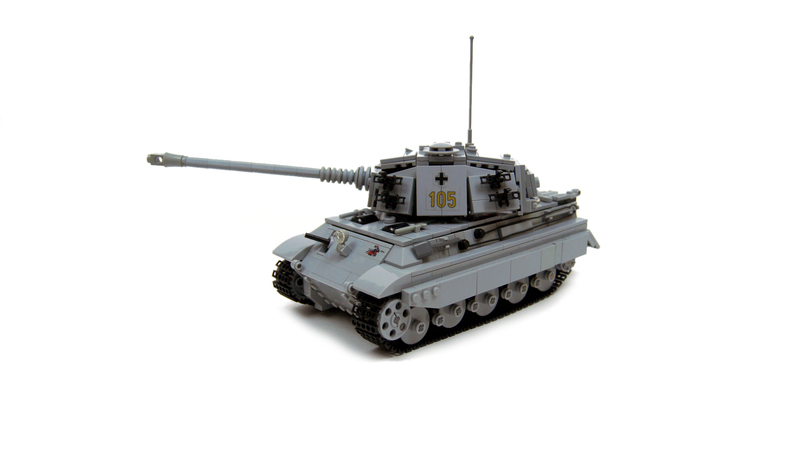 It benefited from many improvements over Tiger I, such as sloped interlocking armor plates and a powerful multi-speed turret traverse system capable of doing a full rotation in just 10 seconds. We should be thankful that less than 500 of these tanks were ever produced because every single one was nothing short of a nightmare to WW2 tank crews. My primary goal with the model was to make it fully remote-controlled at such small scale (effectively 1:34 scale) without compromising it too much. 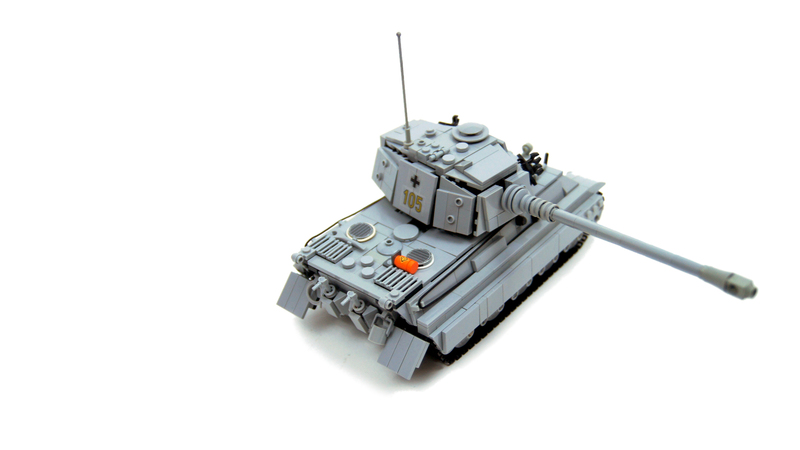 There are many static King Tiger models at this particular scale and I wanted to create a working one that could compete with them aesthetically. On the technical side, the model was fairly simple. There was no suspension due to the lack of space, and propulsion system consisted of two PF M motors driving the front sprockets at 3:1 ratio that was forced simply because there was no room for a gear larger than 8-teeth one. Two PF IR receivers were located above the propulsion system, with their tops exposed on the front deck in places where hatches would be. The 8878 rechargeable battery was located longitudinally at the back of the hull because hull’s sloped sides made it impossible to install it crosswise, and it was turned on/off by pressing a 2×2 round dish on the rear deck. 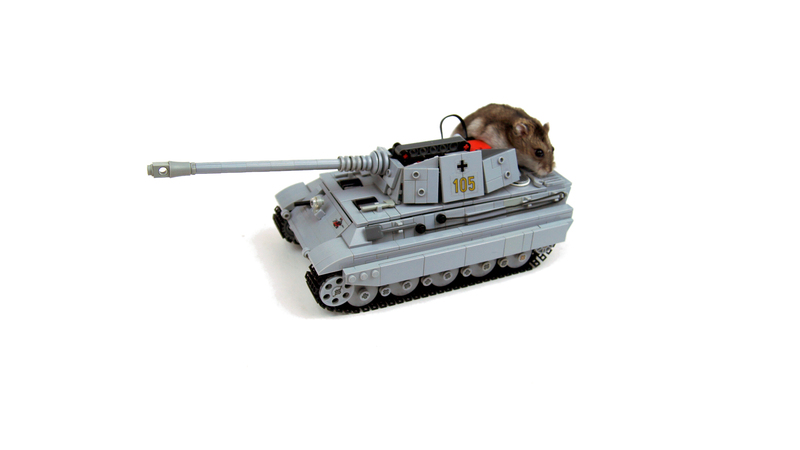 There was no turntable – instead the entire turret was simply sitting on top of an ungeared Micromotor. Another Micromotor was located at the back of the turret, controlling cannon’s elevation at 3:1 gear ratio. This necessitated use of the 24-teeht gear, making the turret slightly taller than it should have been. The looks of the model were far from perfect. 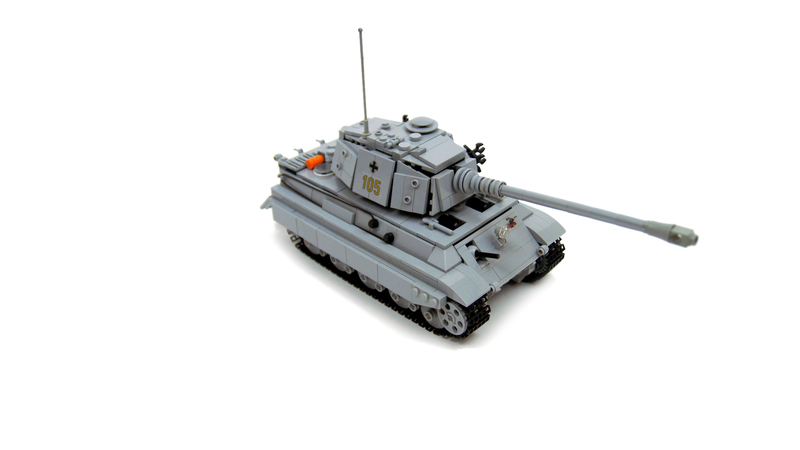 Firstly, I prefer to build my tanks in dark gray and this model only confirms this preference to me, but seeing as a number of necessary pieces was not available in dark gray, I decided to give light gray a try. It seemed straightforward to me at first, since light gray is a popular and common color, but I’ve run into some surprises along the way – most notably, I was shocked to find that slotless pin joiners I wanted to use to make the barrel perfectly round sell for about $4 apiece. I needed 6 of those, and with shipping from multiple shops included I would need to blow some $40 just to get part of the barrel a little rounder – an extravagance I simply couldn’t afford. 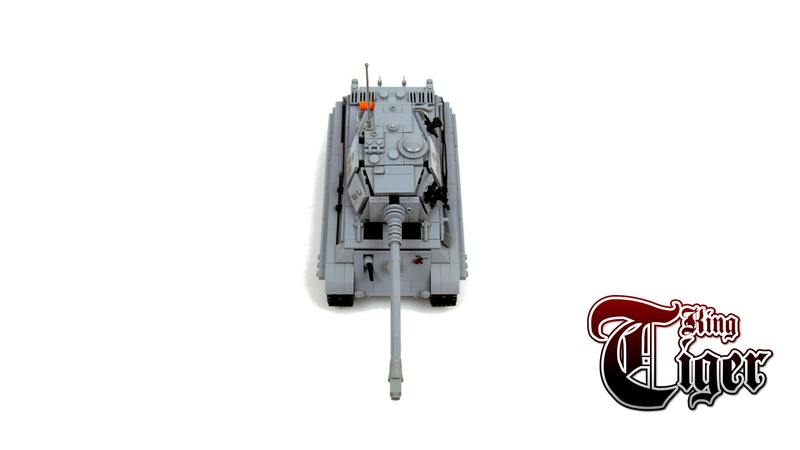 Secondly, while static models can be very fragile, a motorized and driving tracked model needs to be considerably stronger, especially when there is no suspension to absorb vibrations from the tracks. For this reason the mudguards and side skirts of my model were not accurate – I kept them simple and strong when they should be slightly sloped and lowering towards the rear. The turret was not only somewhat too tall, but also too wide in the front, and not sloped enough in the back – a result of it being almost completely filled by the cannon elevation mechanism. Finally, the model’s ground clearance was notably smaller than with original vehicle, because the hull had to be deep enough to house the PF IR receivers and the battery. All in all, it was imperfect model but a good exercise at building very small. 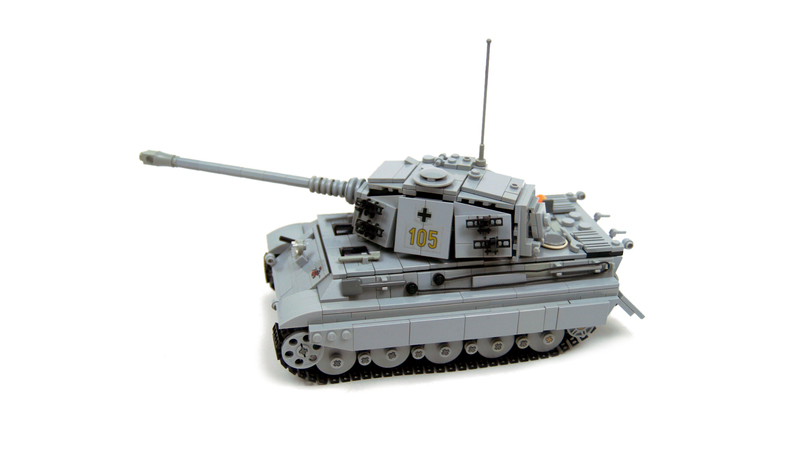 It worked flawlessly and looked much more accurate than my earlier attempt at tiny motorized tanks: my first Tiger model. 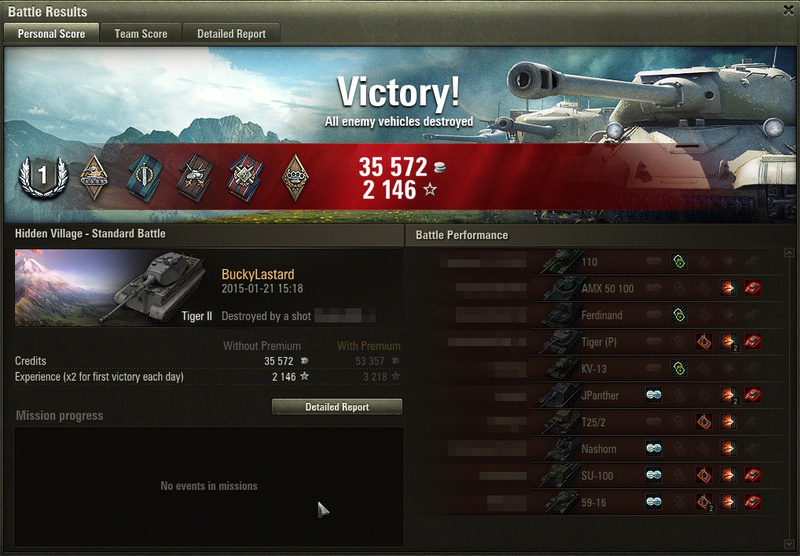 While it did have a number of accuracy issues, it was simply nice both to watch and to play with. It was also my first model to use foil stickers of my own design. I think they are better than paper stickers, at least on bright-colored LEGO pieces, but the problems I was unable to solve so far is that they are partially transparent and that it’s impossible to put white color on them. That means they are still far behind the technology used for the official LEGO stickers. 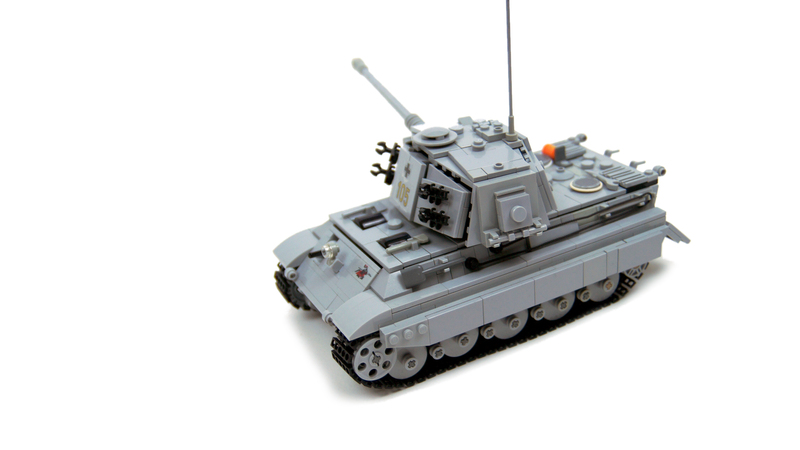 Well, one can combine two 1 Stude wide technic tracks and if one abandoned the wireless remote control and used micromotors one MIGHT be able to mtorize the t-34 too. 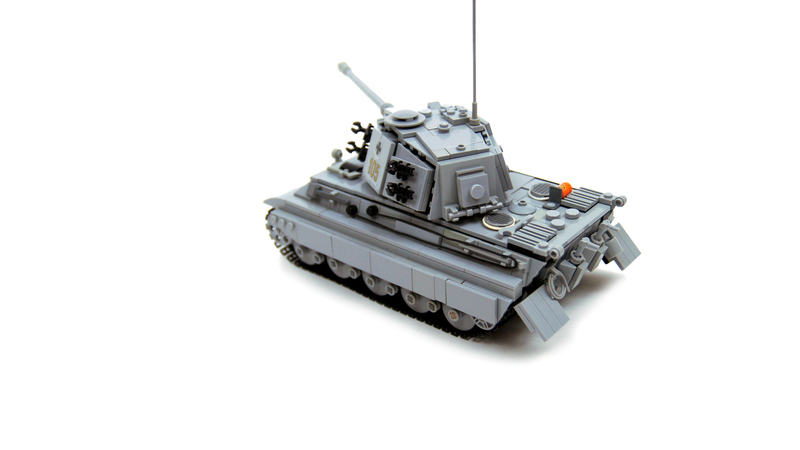 And a T-34 with old tracks is just what I’m planning at the moment. Just need a Brickling account. @Sariel Do you have a ldd file on it? If, can you share it with me? 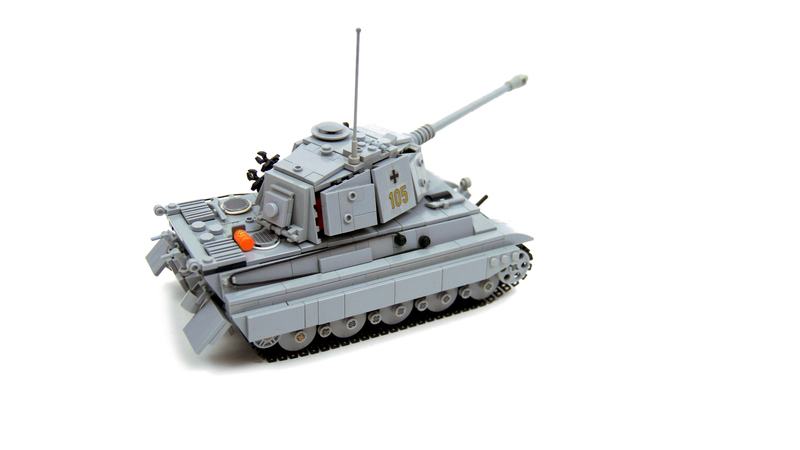 Hello can u please make a tutorial on this tank and show the pieces that are required? No, that would not be a perfect match. 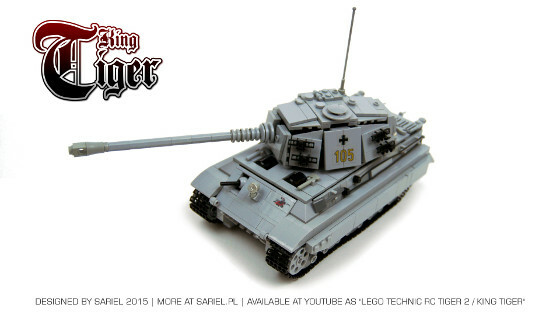 Real-life T-34 was much smaller than Tiger II. 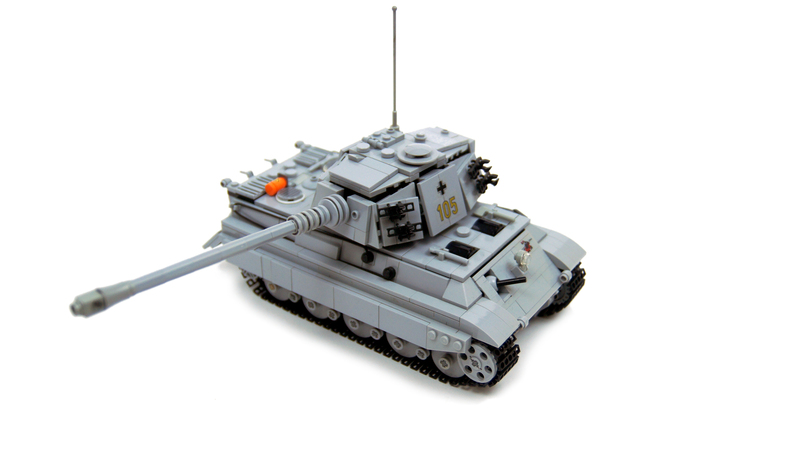 If you keep Tiger’s scale, which is 1:34, the T-34 would need to be 11 studs wide and its tracks would be 2 studs wide each. 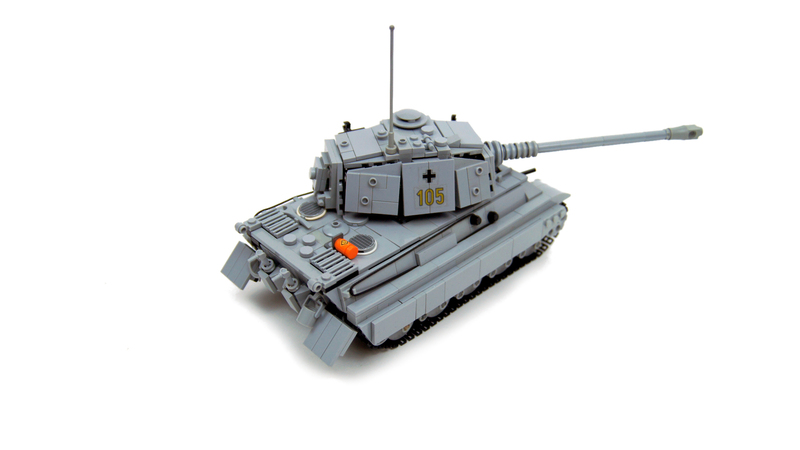 When scaled to old tracks, the T-34 would end up in 1:22 scale. 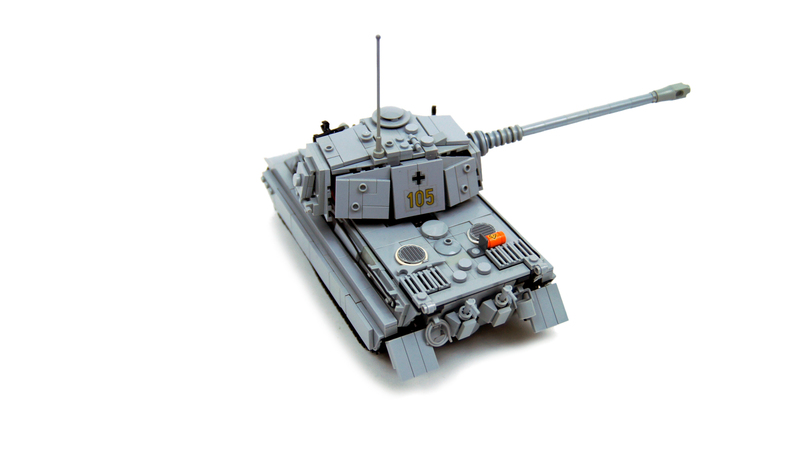 I’m thinking about building a small scaled T-34 with the old tracks – and that would be a perfect match for your Tiger II 🙂 ! But I’m not certain yet, I’ll now use your great model scaler tool to get a few dimensions. Do you think it will be possible to make instructions for moc’s the size of this one in the future? 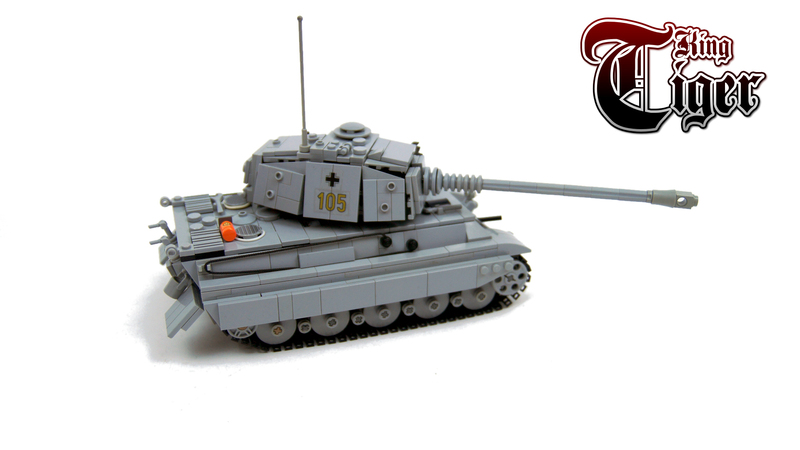 Which one do you think is better your miniature tiger 1 or your miniature tiger 2? Nice little tank! 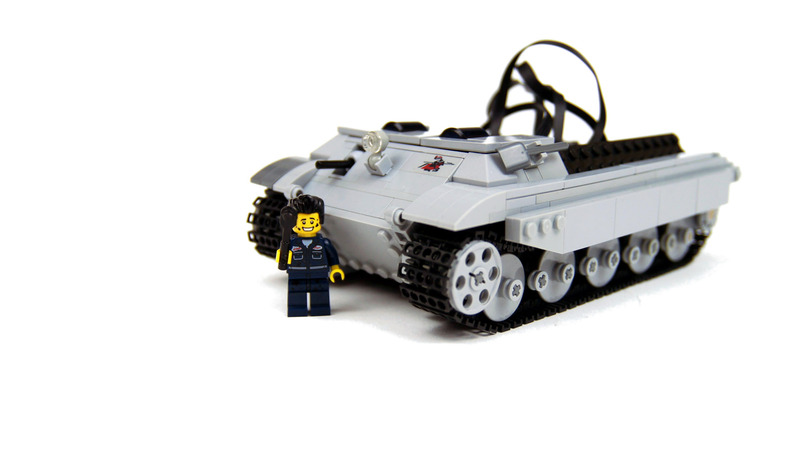 It would be great if The Lego Group produced the long-awaited Power Functions “Small” motor, to mimic what the rare 9V Micromotors do. 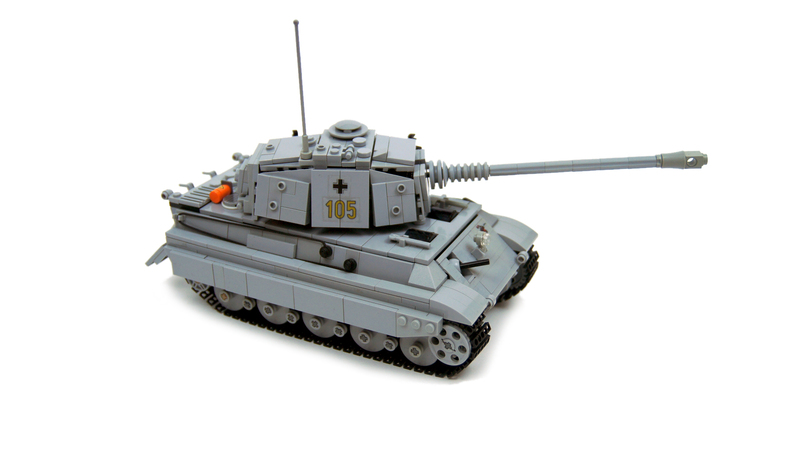 My son is a big fan of “World of Tanks” and Lego, and would love to build something like this!